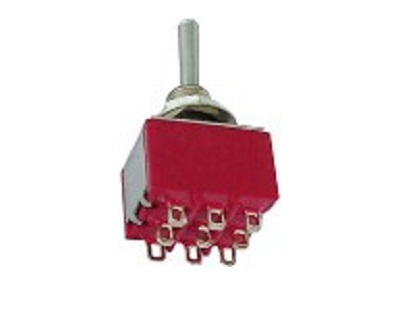 A Miniature high quality change over toggle switch with three poles. Biased (Sprung loaded) to return to its original position. Supplied with two fixing nuts and locking washer.